Soren Kierkegaard's Fear and Trembling is one of the most widely read works of Continental philosophy and the philosophy of religion. While several commentaries and critical editions exist, Jeffrey Hanson offers a distinctive approach to this crucial text. Hanson gives equal weight and attention to all three of Kierkegaard s "problems," dealing with Fear and Trembling as part of the entire corpus of Kierkegaard's production and putting all parts into relation with each other. 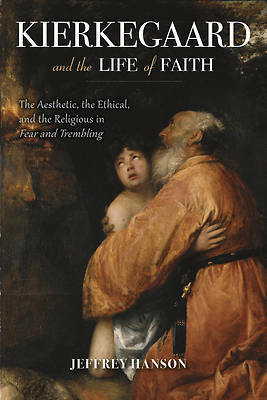 Additionally, he offers a distinctive analysis of the Abraham story and other biblical texts, giving particular attention to questions of poetics, language, and philosophy, especially as each relates to the aesthetic, the ethical, and the religious. Presented in a thoughtful, well-informed, and fresh manner, Hanson s claims are original and edifying. This new reading of Kierkegaard will stimulate fruitful dialogue on well-traveled philosophical ground.